Beauty bloggers have been one of the biggest revelations of the internet for me. Before the rise of youtube makeup tutorials, the most detailed tutorial I had witnessed was the episode of Full House where Aunt Becky teaches DJ the art of natural-looking makeup. 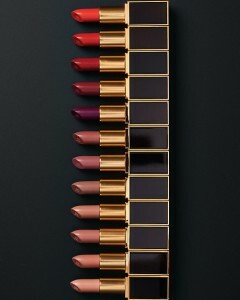 Tom Ford Beauty is always a treat to look at. These days, being able to watch makeup tutorials and look at swatch comparisons feels pretty close being in heaven sometimes. For one thing, it’s made online shopping that much easier, as sometimes you can just tell that something will be perfect for you. I also find it calming to watch someone who is clearly experienced at what they do demonstrating makeup techniques, or talking about their favorite products. It all feels very genuine. However, there are times when testing something in person is necessary. I recently went on a quest for a new foundation and I figured, if I wanted to do it right, I would have to match my shade in person. Shopping can be a hectic experience even at the best of times with crowded stores to overly-enthusiastic sales people. It’s the opposite of the calming makeup tutorial. So, I began my quest with some trepidation. I first tried Sephora, where I waved off any help from salespeople. After all, beauty bloggers have armed me with all the knowledge I need! Or perhaps not. I tested several shades, but nothing was matching exactly. I eventually left, frustrated and empty-handed. A couple days later, I decided to go big or go home. I walked right up to the Chanel counter at Nordstrom, and was, of course, immediately intercepted by a sales woman. I was anxious that she might try to force the newest product on me simply because it’s the newest item. Luckily, she was informative, as we discussed my skin type and my coloring. We tested a couple of shades before settling on one, and then she did my whole face for me, and even added some blush. Makeup is a very individual and personal thing, but it’s also an area where many of us need a little guidance. It can be difficult to strike a balance between feeling in control of creating your own look and being overwhelmed by new products. This is why my excursion to Sephora was so stressful: I was frustrated at not being able to find something that worked, but also unwilling to seek out help for fear of being bombarded with even more unsuitable products. For me personally, I know that I will continue to shop for makeup both online and in stores. The key for me, is to recognize when I’m getting stressed out, and then try and use the sales associates to my advantage instead of having a meltdown and leaving the store. Makeup should be a source of fun, and likewise, shopping for makeup should be fun too. Looking at all the new colors! Admiring the pretty packaging! There’s no need for it to be a stressful or frustrating experience. Do you prefer shopping online or in person? Do you pay attention to beauty bloggers, or do you simply check out what’s new in stores? When I know what I’m looking for, I always prefer to shop online. I know right away if it’s going to be in, & I don’t have that fear of bombardment weighing on me. But sometimes, especially when I’m looking to experiment a little with color, going in in person is a must. And sometimes I really do just want to look and browse, so it can be frustrating to be swarmed at every turn. 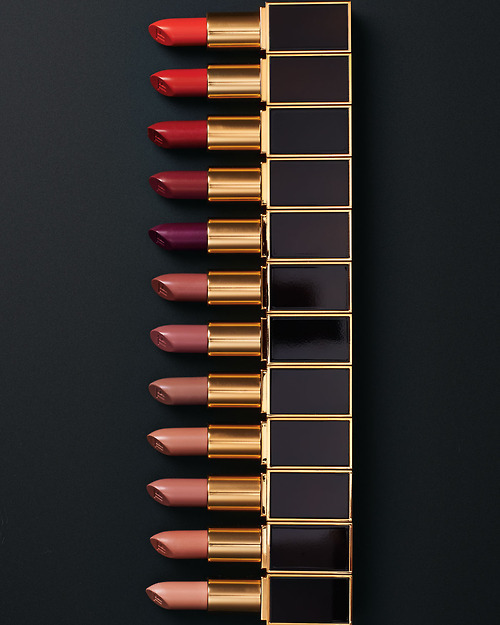 I will say though, I’ve always had really good luck with the representatives at the Chanel counter as well though, and if I’m browsing totally blind, that’s always my first stop. I don’t wear a ton of make-up, generally, and they’re always really respectful and work with what I’m shopping for, rather than trying to push a whole line. Good point about shopping online, you can tell immediately when something’s out of stock or not in your size. It’s disappointing, but at least you haven’t made the trip all the way to store only to find that out.